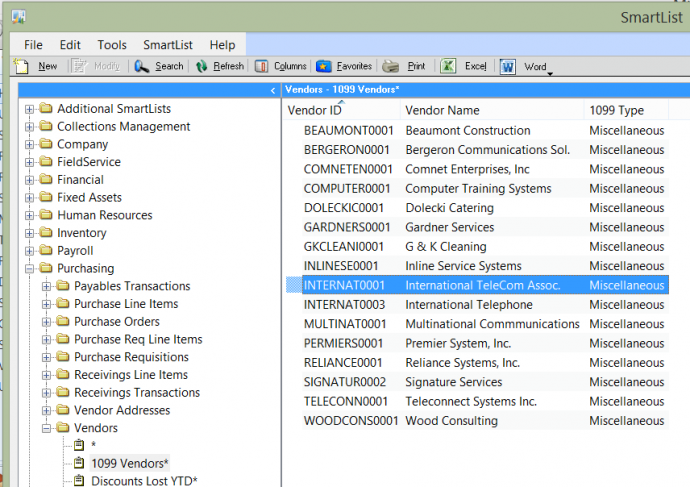 Click on the SmartList icon in your toolbar. New: Only available in GP2013 SP2 and above. This opens the SmartList Designer tool. 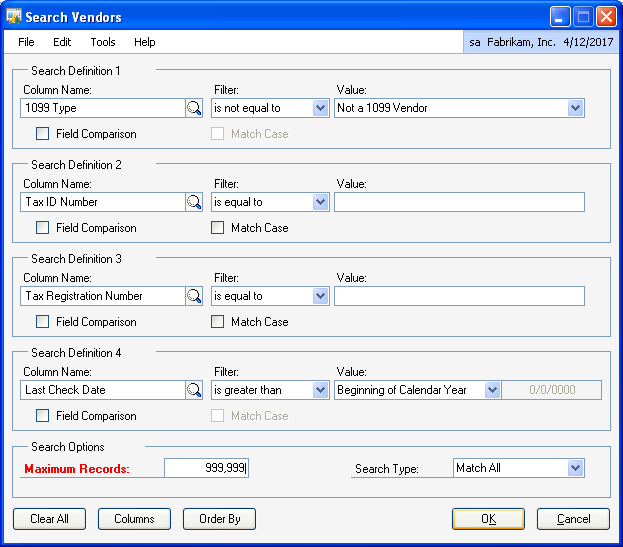 Search: Used to set Maximum Number of Records and filters. Refresh: If while looking at a SmartList, new records are added that match your search, you can refresh your query. Note: All queries are up to date at the moment you open SmartList. “Refresh” only needs to be used if you have the SmartList open when the new records are added. Columns: Click “columns” to add additional fields/columns to the list. You can also change column order and the Display name of the columns chosen. Favorites: There is not a “SAVE” button inside of SmartList. 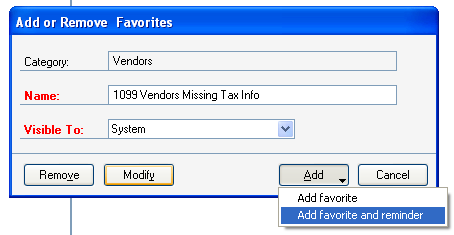 Saving a SmartList is done by adding a new Favorite or modifying an existing Favorite. 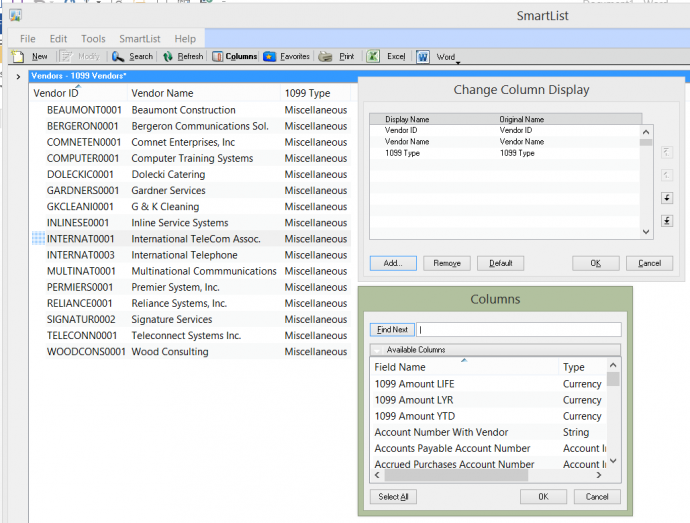 Tip: It is much easier to start with an existing SmartList and then just add the columns you need vs. starting from scratch. Print: This is a quick way to print out the list you created. However, if your list has more than about 5 columns, the print out looks pretty terrible. In that case, export to Excel or Word and format there before printing. Excel / Word: Allows you to export the list to Excel or Word. Just click the button! 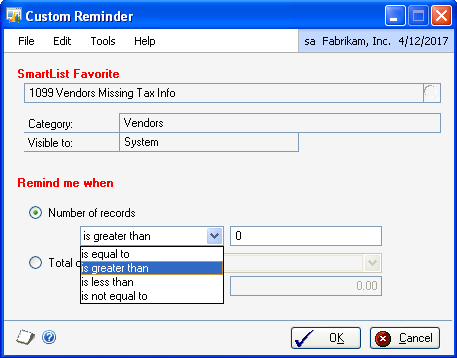 Click Add Note: The Columns are listed in Alphabetical Order by “Field Name”. This can be difficult to use if you do not know the name of the field. I suggest clicking on the heading marked “Type” if you are for example looking for a date (i.e. Last Check Date). You can then scroll to the items in the Date section and you will easily find the field you are looking for. Increase the “Maximum Records” to more than 1000 (just in case). Once the SmartList Runs, save as a new SmartList to create a Reminder. Using the newly filtered list above, click Favorites. Once the reminder is set, it will automatically update the “Reminders” section on your homepage. You can click on the link to open the SmartList.